The differential output seals are the seals located at the output shafts of a vehicle’s differential. They usually seal the axle shafts against the differential and prevent fluid from leaking out of the differential as it operates. Some differential output seals also help to keep the axle shafts aligned properly with the differential. They are usually made of rubber and metal, and just the same as with any other seal or gasket on a vehicle, they can wear out over time and fail. Usually a bad or failing differential output seal will produce a few symptoms that can alert the driver of an issue that should be serviced. The most common symptom for a problem with the differential output seal is an oil leak. 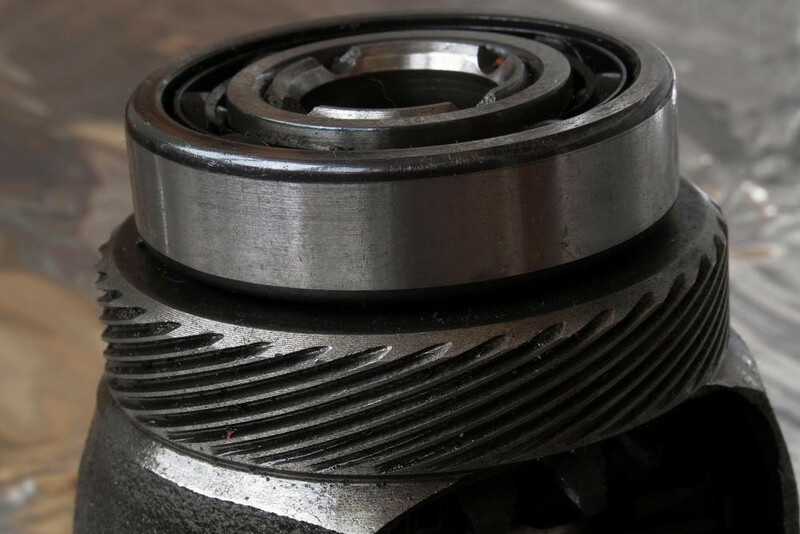 If the seals dry or wear out, they will leak fluid from the axle shafts. Smaller leaks may produce faint traces of gear oil coming from the differential housing while larger leaks will produce drips and puddles underneath the vehicle. Another symptom of a potential issue with the differential output seal is a whining or grinding noise coming from the rear end of the vehicle. If the output seals leak to the point of running the differential low on fluid it may cause the differential to produce a howling, grinding or whining sound from the rear end of the vehicle. The sound is caused by lack of lubrication to the gears and may increase in volume or change in tone according to the speed of the vehicle. Any noises from the rear end should be attended to as soon as possible to reduce the possibility of possible damage to any of the vehicle’s components. The differential seals are simple in design and purpose but do play an important role in keeping the differential, and vehicle operating properly. When they do fail, they can cause problems, and even serious damage to the components due to lack of lubrication. If you suspect that your differential output seals may be leaking or having an issue, have the vehicle inspected by a professional technician, such as one from YourMechanic. They will be able to determine if your car needs a differential output seal replacement. Q: Does a differential fluid change include opening, scraping, and replacing the gasket seal?